Destination Missoula has been formed exclusively for the promotion of tourism, the development of effective methods of attracting and hosting conventions and events for Missoula, Montana and the surrounding area, and to educate the local community of the significance of tourism as an economic driver. Destination Missoula was founded in 2003. Promotion and development shall be pursued in the immediate area, throughout the country and around the world. If you're looking for visitor information and vacation planning assistance, click here. You can also stop by our visitor information center at 101 East Main Street in the MSO Hub or give us a call at 1-800-526-3465. 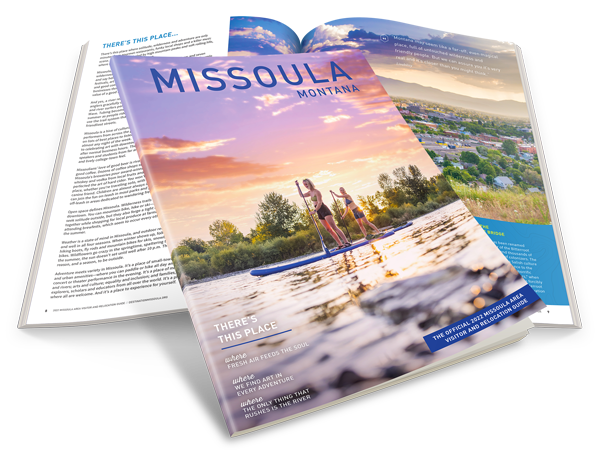 Check out information on how and why you should become a partner of Destination Missoula.